The final compromise EPBD text on which the Parliament will vote tomorrow (17 April) includes a requirement for member states to establish long-term renovation strategies. 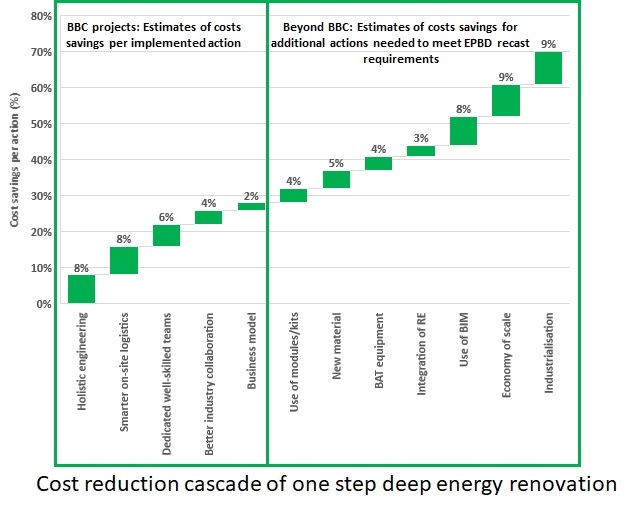 The 2018 EPBD recast aims at transforming Europe’s buildings into highly energy efficient and decarbonised building stock by 2050 by facilitating the cost-effective transformation of existing buildings into nearly-zero energy buildings. The EPBD recast, if effectively implemented, will create an nZEB renovation market of at least 250 million dwellings and 7 billion m² of non-residential buildings, over the period 2018-2050. My initial research question, for the International Refurbishment Symposium, was about an ex-ante evaluation of the impacts on the renovation market of the European Commission's proposed Smart Finance for Smart Buildings (SFSB) initiative. The event is hosted by MEP Gerben-Jan Gerbrandy and MEP Morten Helveg Petersen. The aim is to discuss the Commission proposals related to the Energy Efficiency Directive (EED) and the Energy Performance of Buildings Directive (EPBD).